I’m Donny B, founder and publisher of MyGreeceTravelBlog.com, and my website address is: https://mygreecetravelblog.com. (2) email addresses from people who leave comments on specific posts or general pages on my site. These emails are used to assist in spam detection and to verify that a legitimate comment is being posted rather than a fake message or promotional advertisement generated by a automated bot system. When a reader posts a comment to my site, an automated app holds the comment in a queue for me to moderate and decide if the comment will be published on my site. The email address will not be published with the comment, and I am the only person who will see it. On rare occasions I may use the email address to privately contact the writer if I have information of a private or personal nature that I wish to share with them, or to explain why I have chosen not to publish their comment. 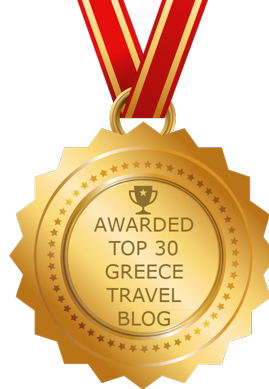 (3) email addresses from people who contact me through my blog’s Gmail address (mygreecetravelblog@gmail.com). I keep messages from individuals for two years and then delete them, and do not retain the senders’ names or email addresses. I keep emails I receive from companies and businesses indefinitely in case I need to contact these firms sometime in the future to request information for posts I may be planning to write for my blog. Some of the articles I post on my site may include embedded content (e.g. videos, images from other websites, links to articles on other websites, etc.). Embedded content from other websites behaves in the exact same way as if the visitor has visited the other website. I do not share, trade, sell, give or loan email addresses to anyone else. I am the only person who can see the email addresses provided in comments, general emails, and the automated subscriber notification emails. For users who subscribe to the email notification service that advises when new posts are published, your email address is retained in the email app until you cancel your subscription or request that your subscription be cancelled. You can cancel at any time. Your email addresses will not be retained after you cancel. If you have left comments on this site, you can request that I delete them. Once deleted, your email address also will be deleted and I will not keep any record of it. Visitor comments may be checked through an automated spam detection service. Subscription email requests also are processed by an automated service. Email addresses are not sent anywhere else.